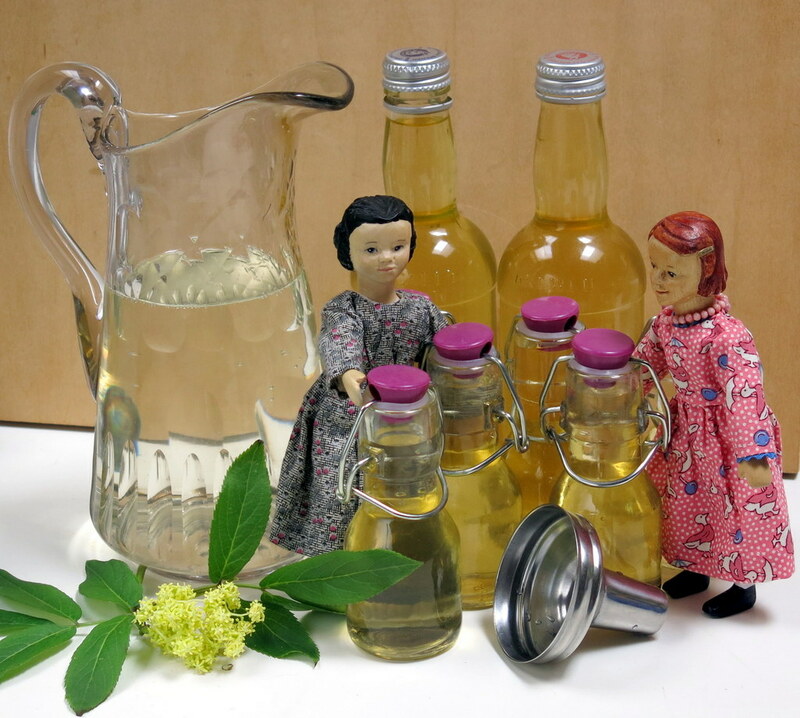 …Aurelia and Patience say it is a lovely spring tonic, and well worth the wait! Just what I needed this morning! Happy spring! Yes! A Tonic for spring, all flowery and fizzy…Happy spring to you too! aha…fizzy water is used with the tonic. It really does look quite refreshing. And of course what a perfect spring tonic. I am quite impressed with the girls tableware and the human size small bottles. Very nice! The girls love using the wine glasses for a bit of juice, and I collect small bottles for various purposes, not many of them have lids though, so this one was perfect! The elder elixir sounds so refreshing. Long ago and near here, I read an article that prompted me to pick elder flowers and put them into a pancake batter…not sure if I tasted them, but, it opened a world to me of possibilities. Thank you again for this lovely narrative of happenings at the QH home base. Your dolls have become a happy, familiar feature within my being. Becky, my dad loved elderflower pancakes…. and elderberry pie! 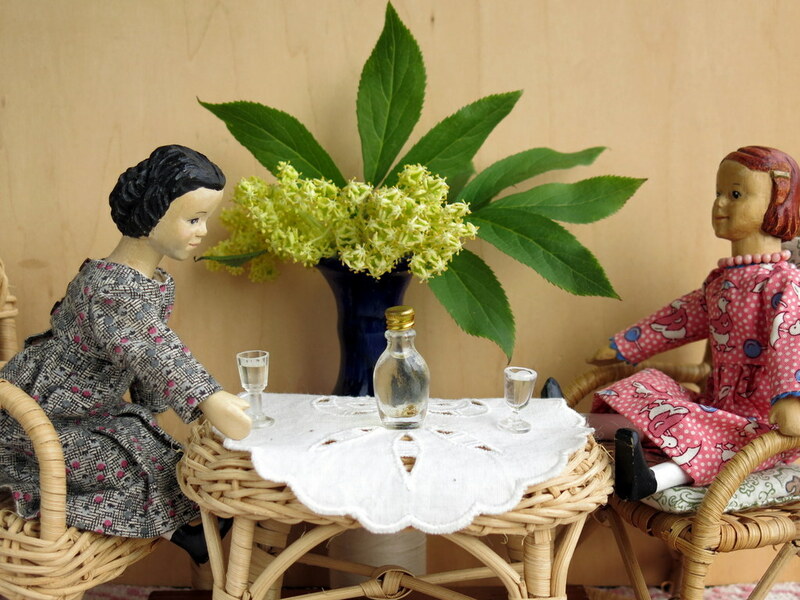 I like the idea of elder elixir…after my most recent birthday I do feel elder-ish…I’ve never had elderflower pancakes! Love the darling wicker table and chairs. Looks like Patience and Aurelia could open up the perfect little elderberry bistro for friends could come and gather and chat. An Elderberry bistro – what a good addition the the Hitty commercial spaces that would be! The little table and chairs were a gift from a young friend who is good friends with Tansy.